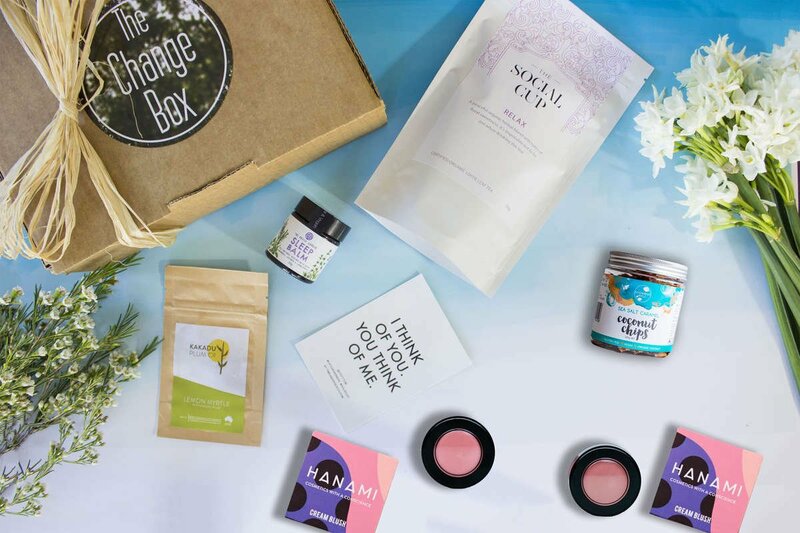 In this box, we had a beautiful sleep balm made in Melbourne with healing herbs and soothing oils, a 100% vegan, cruelty free cream blush to give you a glowy finish, some delicious sea salt caramel coconut ships and more! Click the link above to see all the goodies inside! 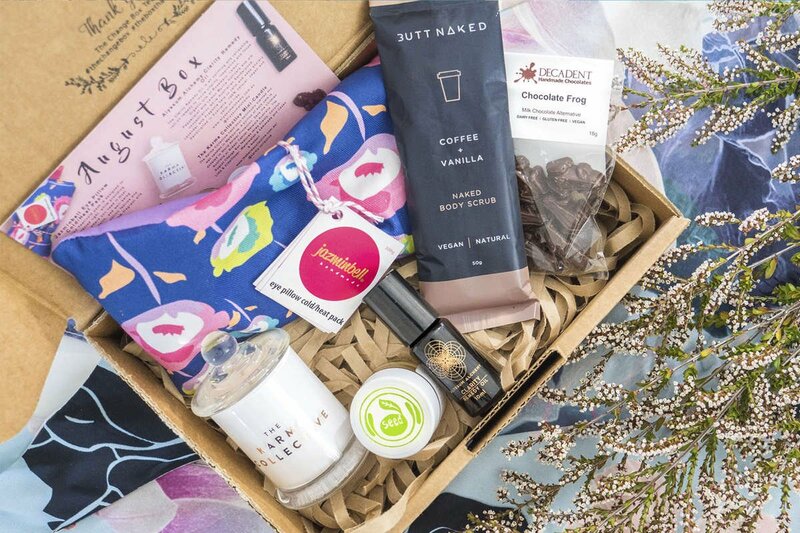 The August Box was one of our most-loved, fastest selling boxes with an Australian Made cold/heat pack eye pillow perfect for yoga, health and well-being, a mini-candle that smelt like coconut, watermelon and lemonade and gave back to a range of charities, delicious, more-ish, vegan chocolate frogs and more! 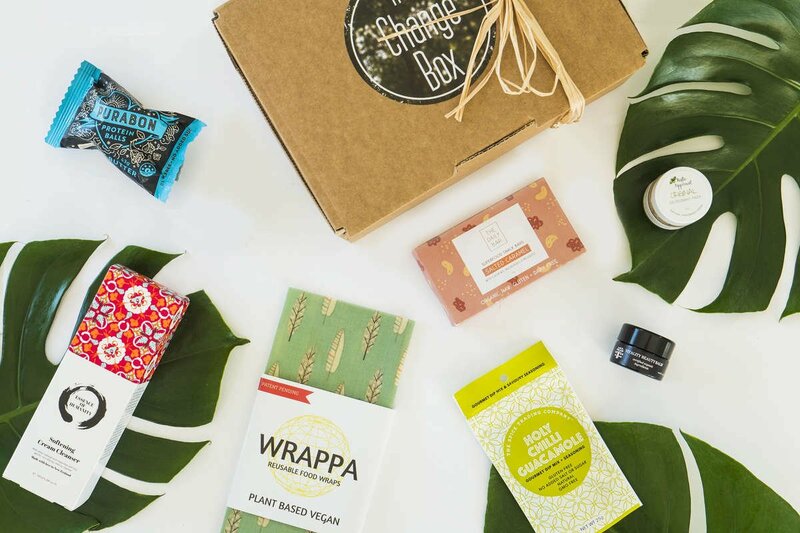 The October Box has a cream cleanser that gives back to some of the world’s most vulnerable communities, a vegan beauty balm that hydrates and protects your skin, a vegan protein ball that was one of our most loved snacks, reusable food wraps that are 100% vegan AND more! 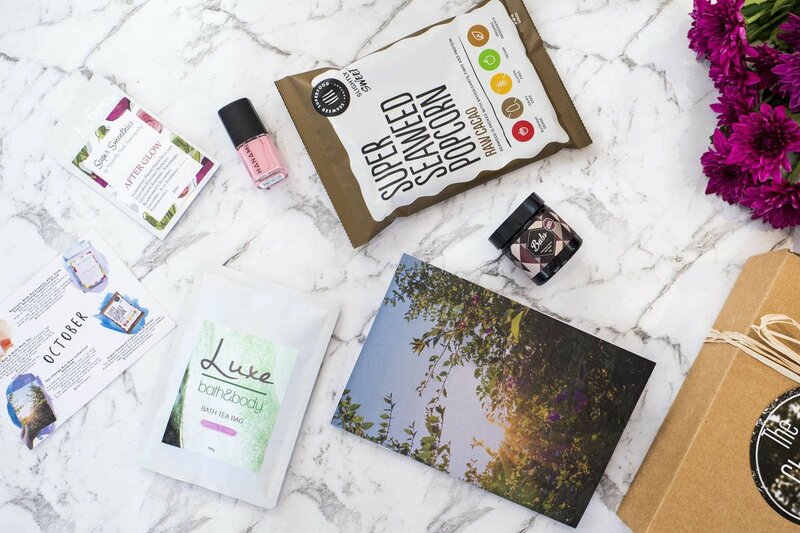 The September Box had our very first notebook, with every notebook providing 1 day of education to women and children in a developing country, a beautiful, relaxing, vegan bath tea, a superfood blend guaranteed to add extra nutrition to your meals and more!